In and around the Region, there are a variety of things to do. Sweetwater Country Club: Click on the link to find out about our fabulous 18 hole golf course, a great course to play all year long! Sweetwater is only minutes from downtown Barnwell! Or, if it is Disc Golf that you want to try out, check out the 9-hole disc golf course at Fuller Park in Barnwell. 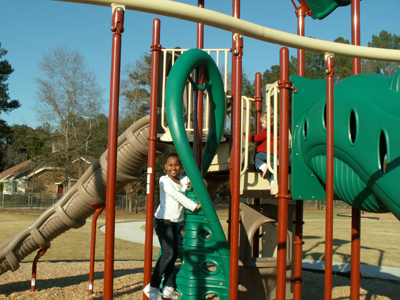 Take the kids down to Lemon Park to play on the playground. Barnwell State Park: In less than a 10 minute drive, you will find one of our state's pristine parks, Barnwell State Park offers that natural setting for those who want to escape to the great outdoors. 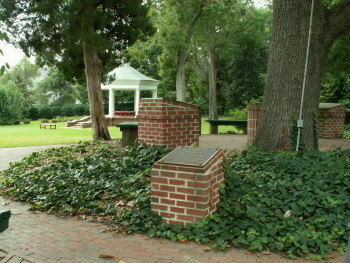 The park's amenities can accommodate various sized groups for reunions and more. Cabins have been redecorated and there is great fishing in the lake! South Carolina National Heritage Corridor: Barnwell is part of this region of the state that has been designated as a National Heritage Corridor. Other museums of historic interests include: Barnwell County Museum in Barnwell, Agricultural Heritage Museum (on Hwy 78), Williston Museum in Williston. Barnwell is part of the South Carolina Parks, Recreation and Tourism Department - Tourism Region of Thoroughbred Country (Aiken, Allendale, Bamberg, Barnwell Counties). Check out the Thoroughbred Country Website for other happenings in our region. Healing Springs: Deeded to God in 1944 by LP "Luke" Boylston, God's Acre, just north of Blackville (20 minutes from Barnwell) has provided the "healing" waters to Indians, Revolutionary soldiers, present locals and tourists. Bring your jugs and fill up on God's healing waters. Outdoor Recreation: If it is boating, fishing or hunting; the Barnwell area is surrounded by pristine waters including the 100 acre Lake Edgar Brown within the city limits. The new city park, Kilkenny Park is located on the lake at the corner of Wellington and Jackson Streets. This beautiful addition to Barnwell has a walking area, grills and picnic tables and benches (2 of which are prime fishing spots). Lake Edgar Brown is home to many varieties of fish. The Edisto River (longest free-flowing blackwater river in North America) flows along the Barnwell county line (25 minute drive from downtown Barnwell). Canoeing and Kayaking provide the best way to experience this natural resource. The Savannah River also borders Barnwell County at the State line. One public boat landing - Steel Creek Landing, as well as several boat landings in Allendale County provide access to the mighty river. Shopping: Please look at our local shops on our shopping link. Within 20-30 minutes around Barnwell, you will find other shopping such as antiques in Williston at Old Parsonage Antiques, and in Denmark at The Carolina Collection. Denmark is also home to South Carolina Artist, Jim Harrison. And for those who seek the larger mall stores, Aiken and Orangeburg can be visited within 40 minutes from Barnwell. Don't forget to check out the Events Section of the website to visit during special local events as well as the Parks & Recreation page to find out what programs are available. Also, our Calendar of Events page has all events provided by the city as well as other organizations in town. Looking for summer learning fun? Click here for the Barnwell/Bamberg Clemson Extension website.